In addition to writing this blog, I also do an electronic dance music blog – www.NotableDance.com. I was writing up the new single “Glowing” by South African-born singer/songwriter Nikki Williams when I realized that her last song was the perfect way to describe the three all natural scents from Anu Essentials. The song is called Kill, F**k, Marry after the game where you are given three people and you choose what you would do to each. I thought this could work well with reviewing scents, so let’s remix it and make it more realistic it with – Pass, Screw, Marry. Given these three scents, this is what I would do. * Pass – Sea Scape – I am honestly not a fan of marine scents, but this one isn’t even a calone monster, it’s just weird (in a bad way). Starting with a mix of turpentine, pickle, and dirty white flowers, the odd scent projects massively for about an hour. The strange notes dissipate and transform into a violet and rose combo. As nice as the dry down is, to me it’s not worth going through the strange top notes. * Screw – Sita – Starting off as a dry rose with a hint of pepper, it is lifted by a light burst of citrus. The rose is joined by light white flower as it goes into dry down. After 2 hours, it dissipates. It feels like a great quickie, something you can enjoy for a little while before you reapply. * Marry – Meadow Lark – This one is absolutely gorgeous, starting with fresh herbs and spice. The blend of tarragon, sage, and pepper has a mild sweetness. The sweetness continues into the base with a creamy sandalwood that last more than 10 hours on my skin (exceptional for a natural fragrance). Talking to other perfume people, I’ve found that everyone else has the exact opposite opinion but that’s just proof that fragrance is a personal experience. 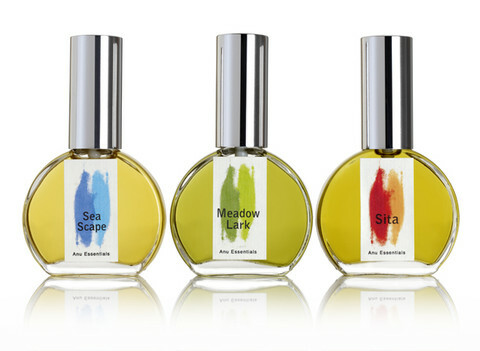 I am not a big expert on natural fragrances, though there are some that I really love. If you are looking to go all natural, I strongly encourage you to get a sample pack from Anu Essentials and explore. Tell me what you think. I am planning to contact them to get sample of their Shaman because the myrrh/tobacco blend intrigues me. Meadow Lark has also claimed a spot on my to buy list. 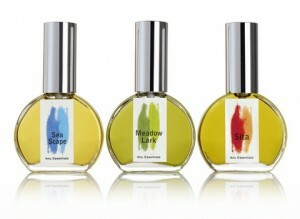 Anu Essentials fragrances are available through their website. Disclaimer: Samples provided by publicist. Image courtesy of their website.